Suggested by Sonic Fox is a good pilot and his Arwing has gotten him through many fights. That being said, it’s difficult to take down a smaller opponent like Jigglypuff. She has a variety of attacks up her sleeve like Hyper Beam, Thunder, and more. 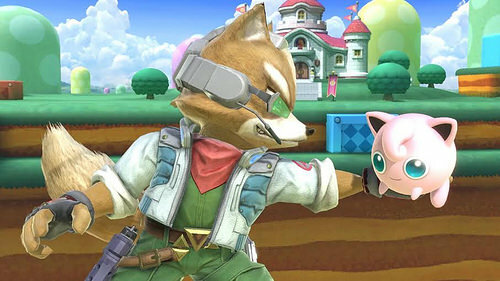 Fox can reflect some of the attacks, but he isn’t quite fast enough to dodge forever and getting close to Jigglypuff will be incredibly difficult. He is simply outgunned here and while his tech will make it close, he just won’t be close enough. Jigglypuff wins. This entry was posted in Battles, Fox Battles, Jigglypuff Battles and tagged Fox, Jigglypuff by dreager1. Bookmark the permalink.